Being based in the country’s auction capital, Melbourne, means that I’m exposed to auctions every single weekend, from the beginning of February until the week before Christmas. Melbournians, Sydneysiders and even Brisbane shoppers understand that the chances of a good property being taken to auction are high. So why do so many people fear auctions? The answers are diverse. They might be terrified of making a mistake under tough time-pressure. The cost of the due diligence with no guaranteed result could be daunting (i.e. building inspections and contract reviews) or the mere idea of standing in the crowd and boldly making a bid in a public space might make a bidder’s blood run cold. But the overarching fear that most buyers have in common when it comes to auctions is striking a balance between paying a fair market value and securing the property under tough competition. Nobody wants to overpay but no bidder wants to miss out. I’ve put together my top 10 auction bidding tips to give bidders a bit of an edge when facing an auction contest. Many buyers head into an auction without having done any analysis on the nearby recent sales in the area for similar properties. This is a methodology that valuers use, agents rely on and buyers should always adopt. It’s known as “recent comparable sales analysis”. There is no point relying on the agents’ feedback or buyer enquiry quoted range. In many cases these quote ranges are deliberately pitched up to 20 per cent under the realistic market value (and vendor’s reserve). 2. Gain an understanding of the vendor’s position. There are many cases I encounter where the vendors are more nervous about their pending auction than the buyers are. Sometimes this is because they have a tight settlement date to meet, or they have a property that’s not holding mainstream appeal. In such circumstances it can be relatively easy to buy the property prior to auction quite seamlessly at a fair and negotiated price. Just be mindful that some agents will encourage prior offers but will dismiss them. Don’t let the agent play you to merely put a stake in the ground for their vendor to work out their reserve. Make sure the agent backs your approach before you divulge your price. 3. Be prepared to bid before auction day. When a buyer does make an offer that’s deemed acceptable to the vendor, the agent will generally call all interested parties (or at least, should do) and give the buyers all an opportunity to either opt in or opt out based on the strength of the acceptable offer. This will strike a pre-auction bidding frenzy; often in the shape of a series of late-night phone calls backwards and forwards, or a “boardroom auction” (whereby the buyers all meet in the agency office and fight it out in an artificial auction-style environment), or it could trigger a “best and highest” contest, where buyers have one chance to place their best and highest offer in an envelope by a set time. Be prepared for this scenario. Don’t leave your inspections, finance, deposit and contract review to the last minute because if another buyer does trigger an auction before the auction, you’ll be caught short on your preparation. 4. 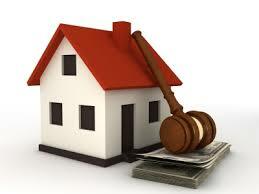 Sort out your cheque/deposit, settlement, proposed extra conditions and contract alterations before auction day. This can be done by approaching the agent with your proposed variations in relation to the sale documentation. Everything is negotiable, but only as long as the agent has ample time to discuss your variations with the vendor and the vendor’s solicitor. It’s best to put these requests in writing to the agent by the Thursday before the auction. 5. Find out how the agent feels about how the auction could likely pan out. And whether there are any other advocates or professional bidders attending the auction. By the time the crowd starts to gather on the footpath and front lawn, I often know who my competing bidders are, what they’re wearing, how many properties they’ve lost and whether they’re emotional buyers or pragmatic investors. 6. Stand where you have good eye contact with the auctioneer and the strongest bidder(s). I like the world to know I mean business, that I’m educated about value, I have an edge and I’m not going to be intimidated. Nothing demonstrates this stronger than standing tall, (elevate yourself on a curb or raised section of yard if you have to), maintaining a direct line of sight with the auctioneer, being completely visible to all buyers and being close enough to be audible when it’s your time to bid. 7. Listen carefully to the auctioneer’s preamble. 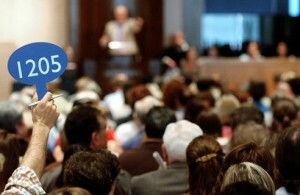 Every auctioneer has their own personal style, and likewise every auctioneer will run their auction their own way. Some auctioneers will lay down “vendor bids” to stimulate the bidding, while some will make it abundantly clear they won’t employ such a tactic. Some auctioneers will announce that they won’t be going inside to refer any bids. All of these approaches are vital to note and can completely change the shape of the auction or the way I’ll bid. If I know the auctioneer is not referring the bid inside, and is not going to place vendor bids, I will bid firm from the start if bidding is slow; to ensure that when the property passes in, it passes in to me. Also, I will pay attention to the auctioneer’s interaction with the other agents and their announcement of the moment when the property is on the market. They will use such phrases as “we will be selling”, “we are playing for keeps”, or “I won’t be going inside”, or simply “we’re on the market”. Missing this cue will have dire consequences for any ignorant buyer waiting for the “half-time” moment where the agent refers to the vendor inside. 8. Have your limit worked out before auction. Doing so enables you to bid with more confidence because you don’t need to worry about strategising on the run, getting emotionally competitive, appealing to your partner or being taken advantage of by a clever auctioneer. If you have done your research and you have worked out your absolute stretch limit, then you can devote your full attention to bidding with strength and determination. You’ll be a much better bidder and will give the crowd the impression that you’re completely confident. When bidding starts, don’t feel compelled to just jump in. Your bid should be placed when you are confident that there aren’t other buyers yet to jump in with their bids. Once you have identified your prime contender, make sure you have direct line of sight to them and the auctioneer. Pounce back with your bids quickly after each bid they place. Look at them in the eye, announce your bid clearly and don’t let them think that you’re strategising or worrying about your bids. If it helps, stand alone and don’t turn to any others (including partners, support crew, parents, etc.). Let the other bidder think you have boundless cash in your pocket. While “slam bids” of higher increments or “shock bids” to shut down the auction can be strategic, don’t employ such tactics when your buyer is showing signs of being pained. There is nothing worse than making a slam bid of $20,000 when the competing buyer is out within $500. Pay attention to the other bidder and try not to be predictable with your bids. Just be strong. 10. Don’t be a sore loser. If you’re unfortunate enough to be the under-bidder, be gracious. The agents will most likely come over to you to shake your hand and thank you for your bidding. Often they have another similar property that hasn’t yet hit the open market, and they may have multiple such properties for you to see. If you’re dismissive or rude, you will miss potential opportunities. And sometimes – just sometimes – a neighbouring vendor may approach you to ask if you’d like to consider buying their property off-market. Coming second isn’t always a bad thing.